In the age of instant gratification, the “need for speed” is a must have. Unfortunately, since the Internet’s inception, data transfer rates have known to fluctuate drastically. Generally speaking, the average home internet speed sees anywhere from 3Mbps to roughly 100Mbps. Well, this past week, researchers at the UK’s UCL claimed to have achieved a download speed that equates to 1.125Tbps – roughly 50,000 times faster than the average user at home experiences. That research? Yeah, it was lead by this week’s Geek of the Week winner: Dr. Robert Maher. If you don’t understand the magnitude of this break through, allow us to explain. Or rather, allow Dr. Maher himself to explain. He noted, “To give an example, the data rate we have achieved would allow the entire HD Games of Thrones series to be downloaded within one second.” Not only can you download entire series in one second with this speed, but you can download them in full HD! Could 1Tb/s become the new normal? 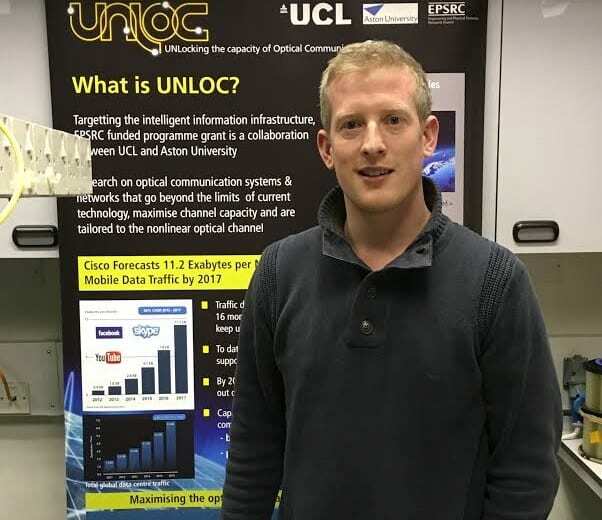 Maher and his team concede that research into creating faster network connections is essential, due to the various factors including digital media campaigns, public cloud connectivity, smart devices, e-health services and the emerging IoT market. If something like this enters the market place, it would, without a doubt, be a game changer. You can read the report in its entirety here. As for Dr. Maher: he is currently a Senior Research Associate at the University College London (UCL). He also interned at Organon Pharmaceuticals as a Control Systems Engineer. He holds a Bachelor of Engineering & Electronic Engineering from Dublin City University and a P.h.D. in Electronic Engineering also from Dublin City University.